The SD Eibar General Ordinary Shareholders' Meeting today approved a club-record budget of €45.3 million for the 2017/18 season featuring a forecast pre-tax surplus of €15.2 million. 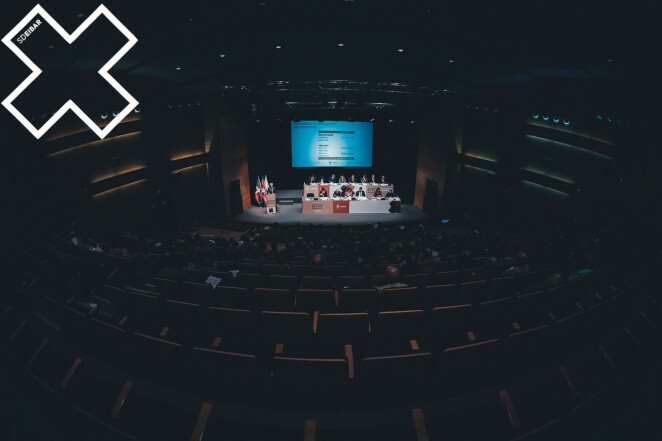 The meeting, which was held at Eibar's Coliseo Theatre, also saw the amendments to the institution's bylaws, proposed by the board of directors, approved. Last year's accounts, which registered a pre-tax profit of €12.4 million, were also passed. In addition, a set of operating rules for the running of the general shareholders' meetings were also approved. In her address, SD Eibar president, Amaia Gorostiza, revealed that in the spring of 2018 it is likely that an Extraordinary Meeting will be called to discuss the plans for the club's future training ground. She revealed that two locations are being considered, one in Eibar and another in a town located within the region. She also noted that plans are in place to knock down and rebuild Ipurua's West Stand at the end of this season, the start date of which is yet to be confirmed. The building of the new stand will increase the stadium's capacity to 8,100. In addition, new areas will be made available for broadcasting purposes and the media, whilst crèche facilities and a study room also feature in the plans. In her address, Gorostiza insisted that "We continue to work hard to keep our dream of competing in the best league in the world alive and, above all, we continue in our efforts to further enhance the club's status as a role model, not only within our city and region but also beyond the local area, both nationally and internationally". "SD Eibar is enjoying one of the most significant periods in the club's history, recording unprecedented on-field results, as well as its best performance in financial and social terms. Meanwhile it is one of the most highly regarded sporting institutions when it comes to management, transparency and commitment to social outreach projects, and we're keen for this to continue to be the case". We're working hard and strenuously to try and stay in this division for as long as possible, but I want everyone who is here listening to us today to know that everything has to come to an end, and we must ensure that we're able to enjoy the present whilst learning to be prepared to face up to the challenges when they come along. As I always say and I'll never get tired of repeating myself: you have to dream of reaching the stars whilst keeping your feet on the ground". As for Eibar's financial situation, she underlined that the club continues to stand by its zero-deficit policy, defined as "a non-negotiable principle", whilst also pursuing "transparency with regards to financial management,the generation of new revenue streams and enhancing the profitability of the surplus through the acquisition of new assets.”. She also referred to the digital strategy that the club is currently working on "in order to make it easier for shareholders, season-ticket holders and all Eibar fans to complete various administrative tasks, from simply releasing their seat to renewing a season ticket, organising for information to be periodically sent out via email or purchasing our merchandise online".